I always want to learn new things. I love Information Tech world but never thought of doing something stable in the industry. Now I have decided to get out of mistakes I had done. I am ready to learn and become visible in the online community as an entrepreneur, no matter how long it takes. With all my heart I wish I stay motivated all the time. So great to watch you helping another member in chat. Thanks for the follow. Thank you man. I always love to help others. That has become a chronic cause of my sufferings in the life. But I could not resist. How soon did you start making money with WA? Hi Willow Tech!! Thanks for the follow! It's nice to meet you and thanks for following! There is a lot of information at WA, so I'm taking it one day at a time and working my way through it all, putting into practice those things that apply to me. I look forward to hearing more from you. Thank you, Hope. It is common problem here, people get lost when they try to grasp everything. Nice to see that you have harnessed the overload. Have great time and take care. Ask if you need help. For me, motivation of course is a must, but FOCUS is the key. I had been so distracted with this that and the other thing that came along. With the help of WA and this community, I try to put that thought into action. ... and motivation? When I think of the alternatives for myself (9-to5 job - couldn't do that for many reasons. - and being able to take care of my very elderly Father), it reinforces motivation. Thanks for your help too Willow Tech! Hi, Thanks for the follow..Good Luck!! Well Thank you I think I made a good decision. Thank You. I am very interested in what I am viewing. Welcome. Keep in touch to help each other. 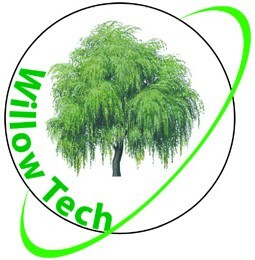 Hi Willow Tech - sorry to be a month... I'm active on WA in the school holidays, summer is a bad term to do anything else and I started a new site in May, so now drowning in self generated work! To answer your month old question, I teach computer science in high school, 1800 students so a fair sized place. Now on my knees praying for the term to end, 2 1/2 weeks to go. Catch you in chat one day? Cheers hon. So how do u make money writing blog's and where ? When you solve others problem by writing blog that will bring more traffic to your site. When they are satisfied they will click your affiliate link and make some buy. that will bring your commission on the sale. That is way you earn money by blogging in your niche website. Hey willow tech:) do u know how to ad a link to wealthy affiliates to my website? Also, I wanna send people the link that goes through me but I don't know where to find it? Go to your profile page. You will see a button Affiliate Link. Last part is your AF ID. Write articles naturally and add a link from WA. That will automatically your affiliate link. When you are moving around WA will get the AF ID whenever you share something from here. Check one or two VDOs or Tutorials to see if you get your AF ID at the end of that VDO or tutorial. Hi Sayeed, I was trying to send the info about Vitacare but my pm is not working. I will send you a PM see if it works. Hi Willow and welcome to WA! Thank you uakoko. You have so much time to encourage and inspire me, it touched me. I will certainly remember you what you said. Have a great time. Take Care. Since your original question on BIS's Training Resource should be addressed by her on that venue, I came over here with my answer instead. I have had the same problem with the Live Chat and have been coached by Kyle that, if I'm not getting answers there, to create a discussion in one of the classrooms. It might not be as "instant" but are more likely to get addressed. There you will get more credit for this and more articulate answers. The Live Chat is a good place to ask questions, but due to the nature of it, sometimes you get overlooked, especially when convers on there is quite engaged. I take Kyle's advice very seriously. It doesn't mean you should stop asking questions on there, just that I have. I have little reason to use the Live Chat and have ceased. I find I get better results by staying off there. That's me and is how I've resolved to work in here. I realize some things are better asked on the Live Chat than in a classroom, but things like this, I find I can just Google it and get answers. Anything pertaining to campaigns, WA and some of the weightier issues in WP, etc, are better brought up as a discussion here. Love your logo. Thanks for the follow. Wow! Hope you have a good day...I am praying for your success! Hi Willow Tech...it's taking me awhile to pull everything together but thanks for sticking with me...don't give up...anyone with desire, determination and discipline can achieve their dreams. Thank you Rebecca. Thanks again. Let me know if I can give you a hand with. Hi Willow Tech, I'm inspired that you did not give up! I am in the same place you are I think. Maybe we will be teaching each other. Always being positive and believing you can do it. Even if you have a problem, just ask for help. Good luck! Hi Willow Tech....just read your blog...nice post...I know Weathy Affiliate can help you make whatever money you need..stay focused on your goal...have you completed the trainings? I have a way to go but I will help if I can...you will succeed...keep me posted. Thank you. I know I can do but the time is killing me. I wish I can progress faster. Thanks so much for following me. You have a bright future ahead of you. So many people need the expertise of someone who understands how technology and automation combine to make an outrageously profitable business. i am so glad you are a part of my network. Thank you Rebecca for the good wishes. Through out my life I am honest and always try to help others. But I have been going through a miserable life from childhood. Waiting for the day to come when I will see success and peace in my life. I am really glad to have you as my well wisher and in the network. Hi, just started following you, I went to have a look at your website, but you need to take away one of the http:// so I can view it. Thank you Elsie. I have no idea how it happened. That is not a good website. I could not do much about it. I needs a good tweaking. Welcome, WillowTech, to your place of learning all you need to know in internet marketing. We are all entrepreneurs in training helping one another to success. Sorry by mistake I deleted the old post. I do not see a UNDO button. Thanks for the inspiration and you are really supportive. I am sorry too. Missed that you deleted the old post. Think it is like most, if you don't save you lose it. But have found in the blog writer zone if you write something autosave happens even after I click out and come back. Then open to write another post and lists what I left. Does this make sense? Hope you get it back, or ask Kyle or Carson they may know the techy stuff of restoring. Thank you. It was a quick one. Hello and thanks for the follow. Beverley, that helps. Thank you for your time. I am little confused, say, I have taken baby wall papers, how long I can keep writing on that topic? Google like fresh contents continually ! I saw you post about choosing a niche. I can't give you clear guidelines because it is such a personal thing, but personally I think it's easier to work with a smaller niche when you first start than it is to try and do an enormous niche. So you're doing "baby decor" which is clearly much smaller than "babies" . One the other hand you can still break down baby decor and just specialise in ! "baby wallpapers." Not suggesting your do - that's just an example. The other thing you need to take into account is that a lot of internet marketing is trial and error. Some things will work and some won't.. Don't expect everything to be perfect first time round. Lots of people try one or two niches before they find exactly what they want. Hello there and thanks for following. I like your determination and drive forward. Hope to see you around WA. To your success! Thanks for following me back :). Hello there, welcome to WA and thank you for the follow! You have the right spirit to succeed. Never give up! Keep on going and the results will follow. Best wishes for your success! Willow Tech...thanks for the follow! If you have websites, don't forget to put their Url on the right side of this page...I would love to see them. Hi Willow Tech, and thanks for the follow.....appreciate it! You've got my support for staying motivated!! welcome to WA & my network Willow Tech. Thanks for the follow. I hope it works out for you here and you find what you need. Browse through the training tons of great resources there. Live chat to get involved and questions answered. There is a community of people here willing and ready to help you. If you need help just sing out. Thank you for the guide lines. I was just wondering to finish the free lessons first. Trying to catch up a daily routine but could not. I have other responsibilities that I need to take care of. May be I will be better in January. Yes, work on those first. The lessons do build on the previous ones. Take your time on them. There are no time limits. More important you retain than to crash through. Welcome to WA. Thanks for the follow! Don't forget to stop by Live Chat if you are in need of any help. You'll always find someone there who is able to answer any of your questions. Good Luck! way for starting your online entrepreneurship. Wishing you success! Thank you very much. Thanks for the inspiration. Hope to talk to you sometimes. Have a nice time and take care. Thank you very much. I have not seen such a generous thing that new members welcomed by the founders. Thank you so much Kyle.